XTOOL X100 PAD2 or obdstar tool (X300 PRO3 and obdstar dp plus). Which one has better coverage and support? 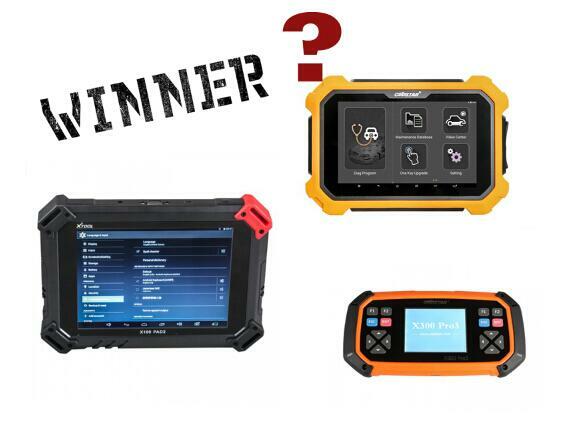 How come obdstar products are more popular and has frequent updates but xtool products are slow in updates and least popular? Buy xtool x100 pad2 or obdstar tool? ray-ray answers the 1st question: Story is obdstar and xtool was a joint company for many years. They play a game chicken or the egg who came first? Obdstar start the company in 2007 and xtool in 2010. Once again who came first chicken or the egg? I’ve been working for free for 6 month now for Xtooltech. ray-ray answers the 2nd question: If you look at old post Xtooltech had no sale in china or on eBay. I ask member here on the forum if anyone used ps80 or PS90 PRO little to no feedback. I ask my Chinese broker to look and buy a unit for me to test. They refuse to sell to any Chinese broker. That was perfect solution I want to come out with something new with a company that was will to bring in engineers to the USA. The company was part of Obdstar that did most of their sales in commodities. After the break up they focus on heavy duty diagnostics. I went to sema last year in Las Vegas, next to sema there was diagnostics show call apex. There I meet the company and there engineers, I made a deal that day. Xtooltech learn that day that there was too much competition in diagnostics, and very little in immobilizer. I have work on making the tool better, I have not stop. My goal is to keep developing and improving their tool (there is no money Xtooltech is paying me). Ken the owner has tried to pay me for my work and I have refuse. My mission is to make it a great tool.. what is my reward to be remember. Xtool ps80 or ps90 or Pad2? Xtool ps80: not sold in China. Xtool PS90: recently starts to authorize the Chinese dealer to sell.